If you have an old concrete pool in need of resurfacing, then a vinyl liner is often the best and most cost-effective concrete pool conversion option to rejuvenate the appearance of your pool. 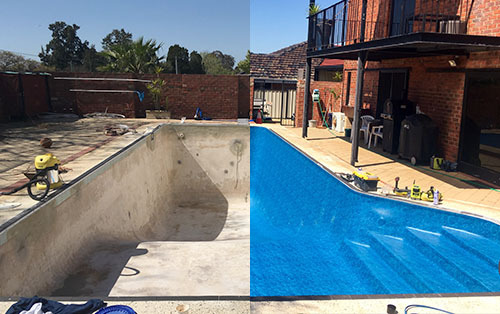 Whether the pool is cracked, leaking, covered in black spots, has tiles that are falling off, or simply looks tired and in need of a face-lift, a vinyl liner pool renovation can solve the problem. A vinyl pool liner is a fantastic and affordable way to completely renovate your concrete pool. It is flexible and will move with any future structural declines within your pool shell. A properly maintained vinyl liner will last 15 years or more and when it comes time to replace, a simple and cost-effective liner swap is all that is required. Oceanic Pools can guarantee a 100% seal from top to bottom, by converting all internal pool fittings. 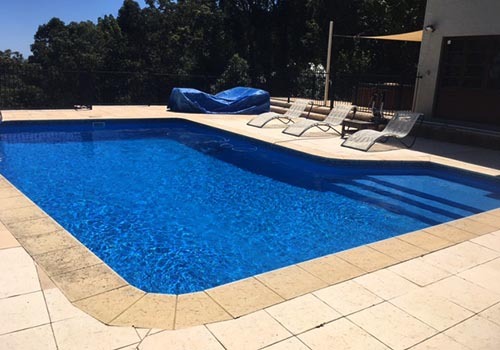 We will repair any problem areas, clean and seal the internal pool service, and can modify the pool if required by adjusting the shape, constructing new steps and ledges, or installing stunning LED lights and water features to really create that wow factor. 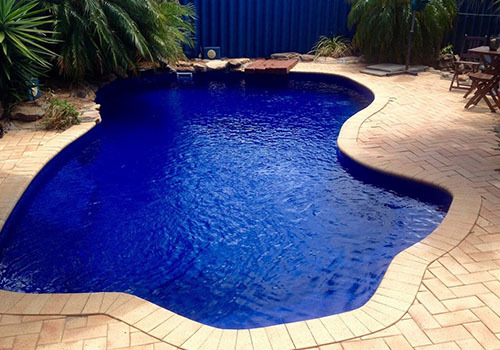 Oceanic Pools also has a large range of vinyl liner colours and styles to create the impact that you’re after. 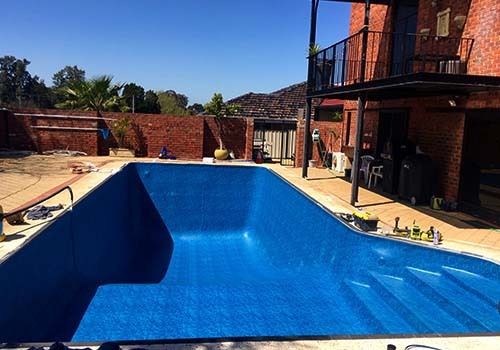 View our pool renovation gallery to see how we’ve transformed run-down concrete pools into beautiful vinyl lined paradises, or contact us today to receive your free measure and quote. With a concrete pool conversion, it’s not too late to start enjoying your pool again!